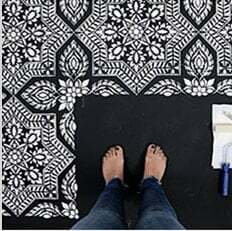 Stencils for thrifty DIY-ers on a budget! Even under $25 you still can get a lot done with our versatile economical stencils. Browse our selection of inexpensive stencils and choose the one that fits your project. From little craft stencils to some of our less expensive wall stencil patterns, there is something for everyone!